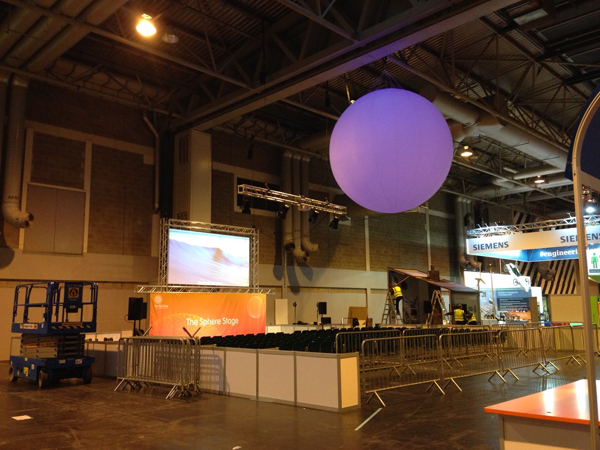 These giant inflatable shapes were designed and manufactured for our customer Fresh Group and were installed by out team at the NEC Birmingham. 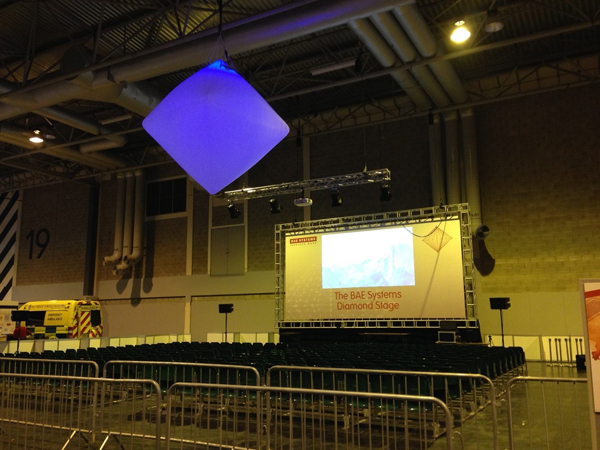 They were internally lighted with a RBG Colour change LED that was remote controlled. The shapes had an internal fan. They were rigged successfully by Joe Harris and Radek Teresko! Great job guys!